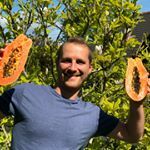 My name is Steve and my passion is seeing other people drink more fruits, veggies and plant based foods in order to experience the health and healing that I believe is available to us. My aim is to create and share fun and simple plant based recipes including meals, smoothies and juices to share and inspire people to get munching and glugging. I also love to make fruits and veggies look fun, colourful and appealing to attract people to consume more and more. Demographic data for @stevesplantlife's audience is available for free to influence.co users.